Well, its been awhile. 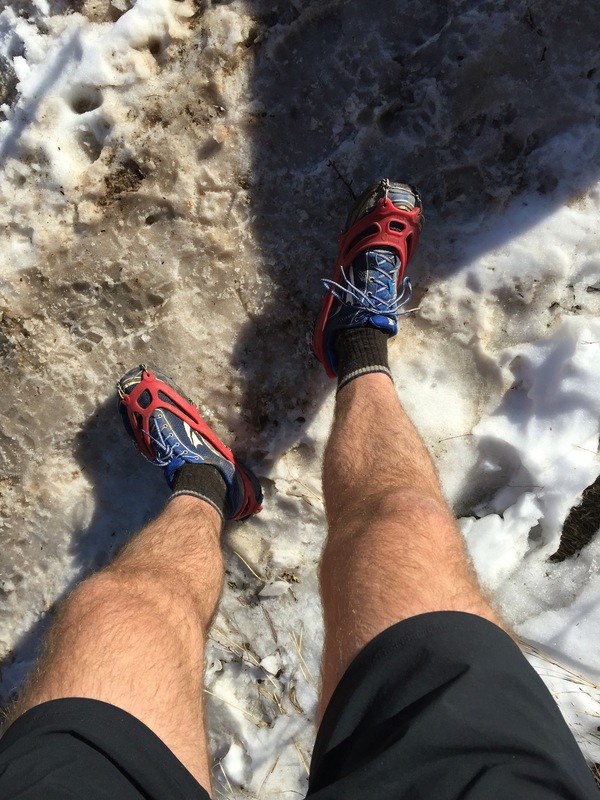 My last post was about moving back to NY from Colorado, family, a new job, and running. I had an amazing time back home in Troy, spending time with family and getting to know my nephew, catching up with old friends, working for Altra, being there for another nephew being born, and running some east coast trails as well as my first road marathon. I ended up almost embracing the roads and running a 3:30 marathon, the fast sea level running improved my speed on the trails in a big way. 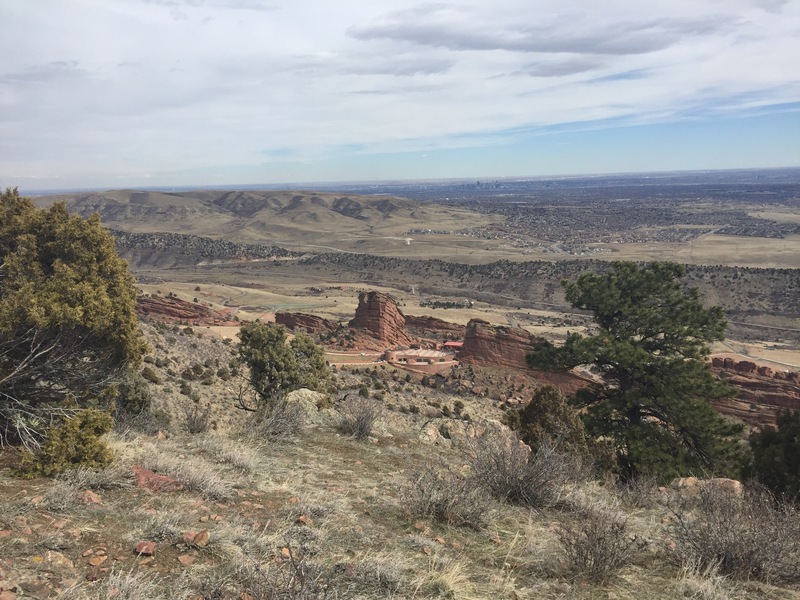 While I enjoyed it very much, I knew right away that I needed to get back to Colorado and continue exploring and living the good life out west. So, around Christmas time, I moved back to Colorado, Lakewood to be exact. 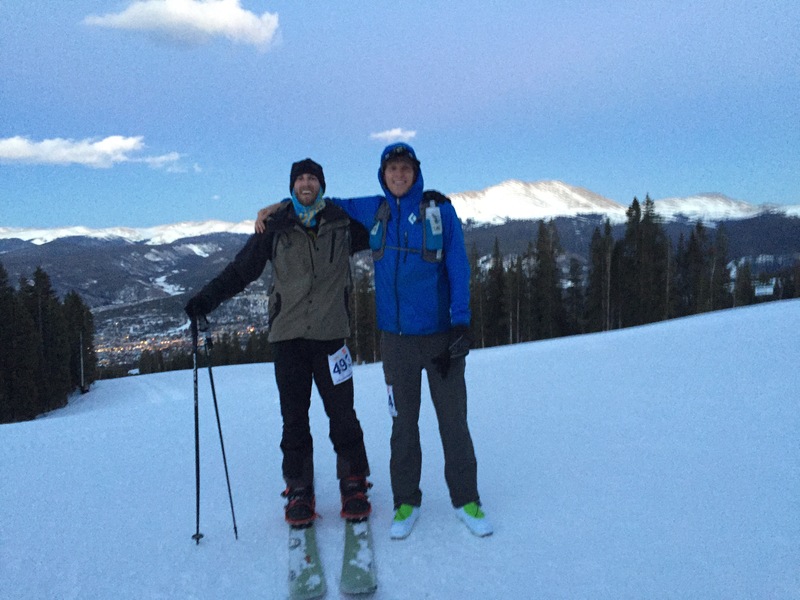 I am interviewing and looking for sales rep type jobs in the running and outdoor industry. 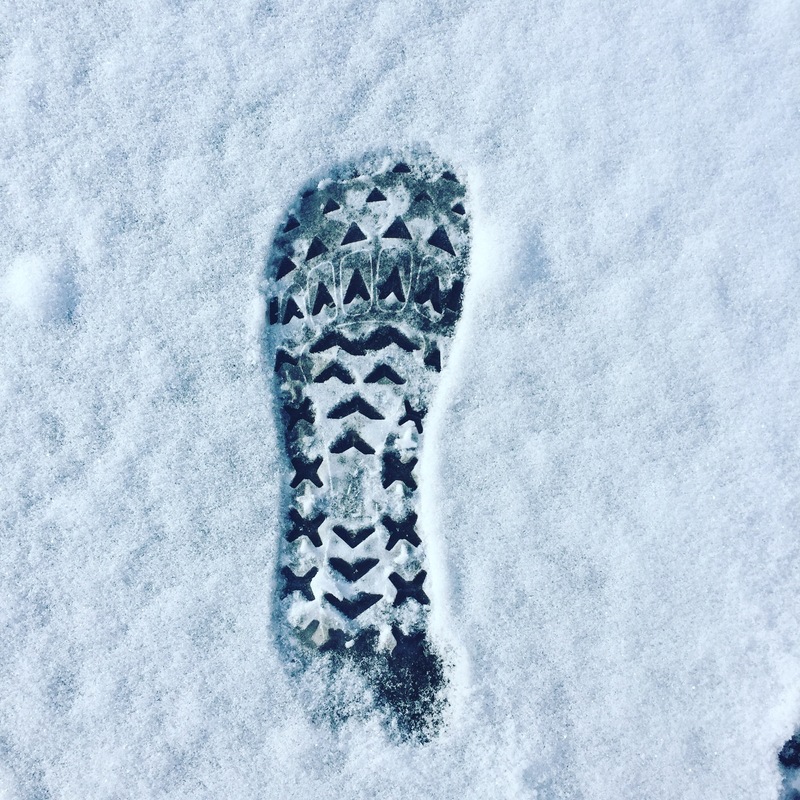 I loved working for Altra and talking about running and shoes all the time but, New England just wasn’t where I want to be. 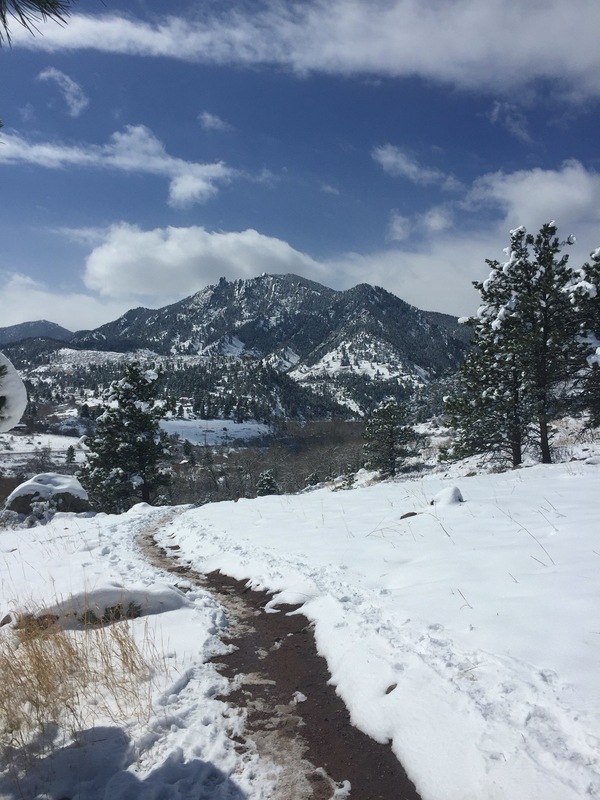 I have been exploring the front range trails while training for Collegiate Peaks 50 miler in May. I also just signed up for my first 100k which will be the Double Dirty Thirty in Silverton this September. So, its safe to say that I am in full on Ultra training mode and starting to soak up the miles. 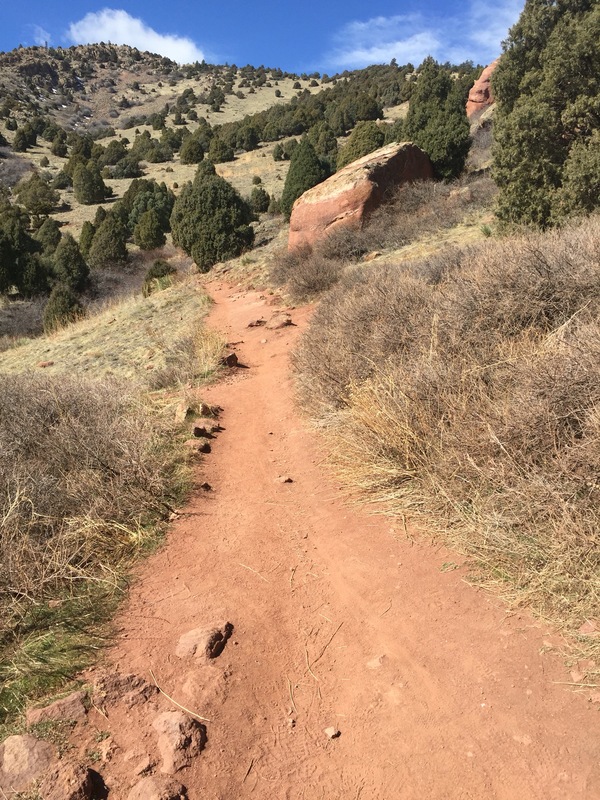 I have been getting some great warm weather and dry trails around Denver, Morrison, Golden, and Boulder. I love Mt. 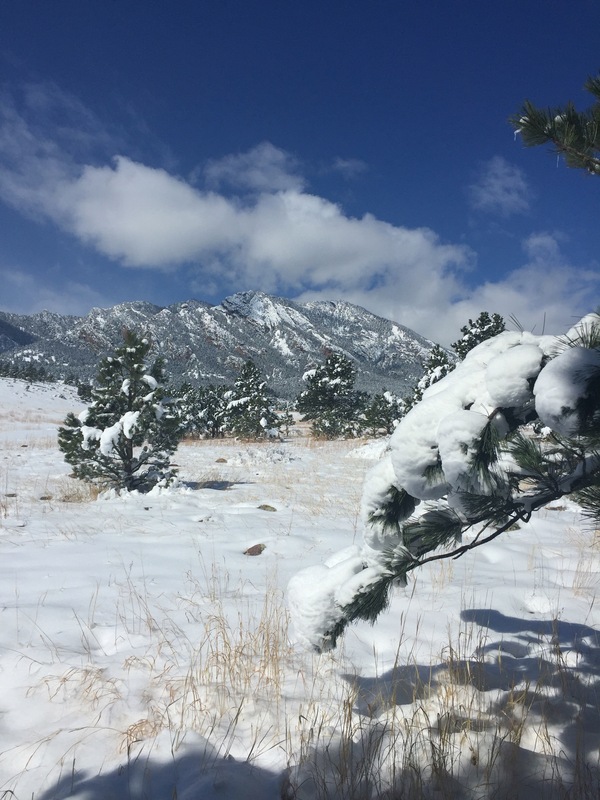 Falcon, Matthews Winters, Mt Galbraith, North Table, the Flatirons. 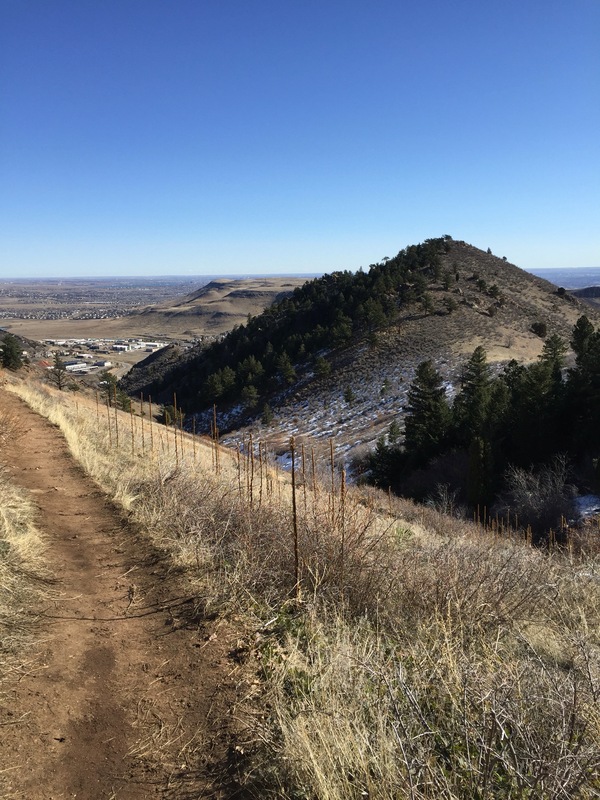 Last weekend I went down to Colorado Springs and ran from Manitou Sprungs up to Barr Camp, which is like halfway up Pikes Peak via the Incline, that was a solid long run, and the Barr trail downhill was EPIC. I’ve been up into the mountains skiing and snowboarding a handful of times. 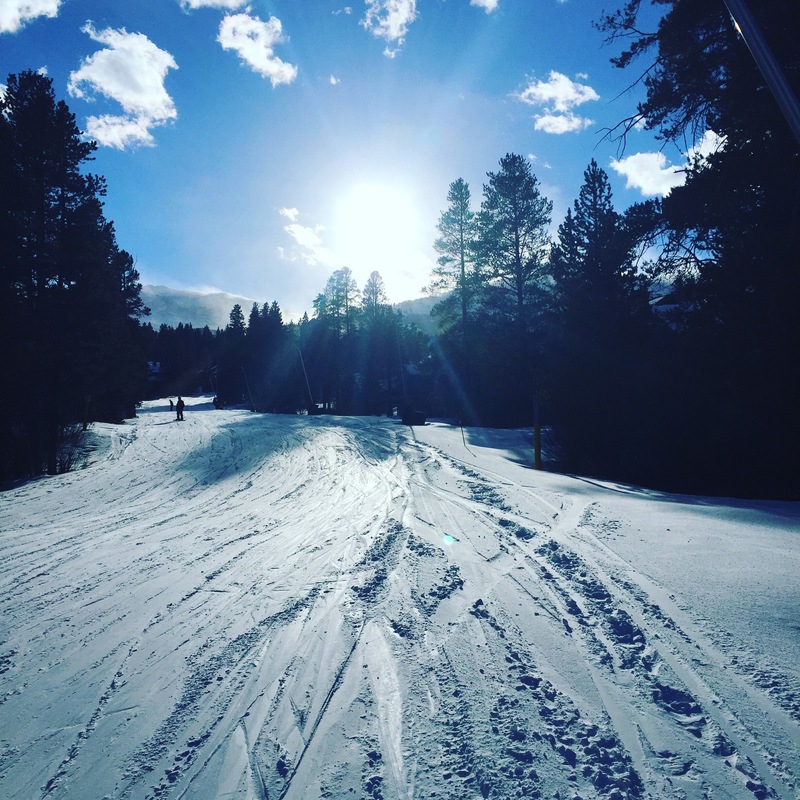 I did my first uphill race on skis at Breck the other week and got a siccck powder day at Breck on my board on Wednesday. I have been having fun and feeling good, focusing on nutrition as well. 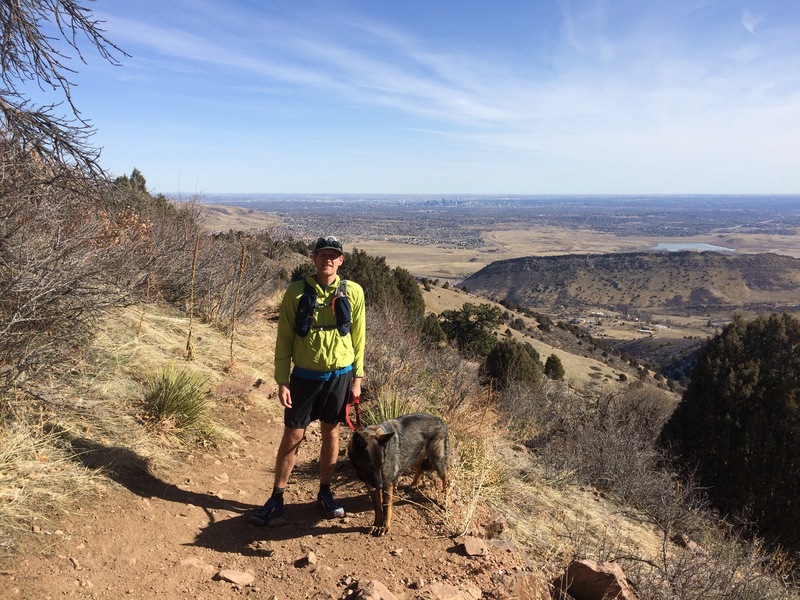 I think I am getting my “mountain legs” back pretty quickly and hope to have an awesome second 50 miler come May. Today was a long run day(pics above). 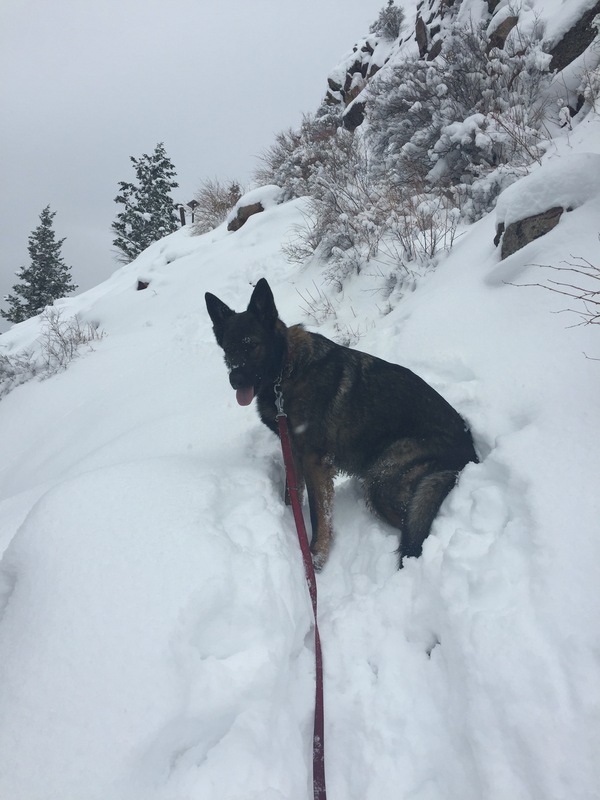 My training plan called for 24miles but with the recent snow I knew I needed to just get out there for a couple hours and see how things went. 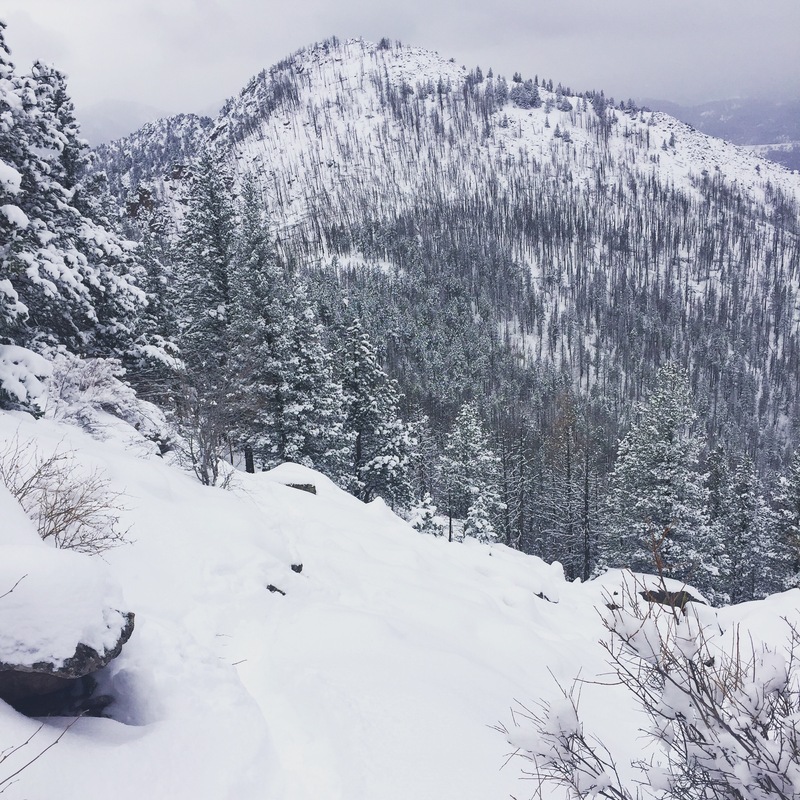 I went up to Boulder and started from a ‘new to me’ trailhead, south boulder creek. Since I started around 11:30am, things were warming up and getting sloppy. 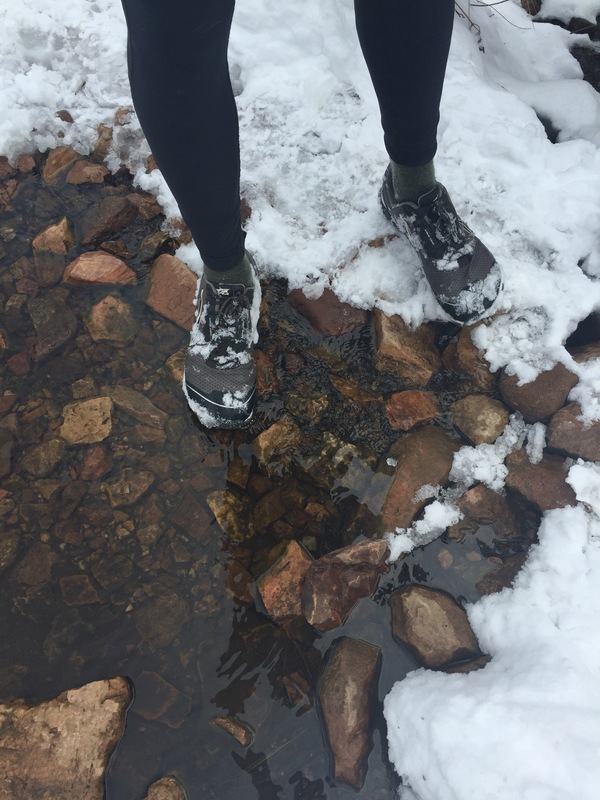 I wore my Altra Lone Peak Polar Tech NeoShell, which normally do a good job of keeping my feet dry. I was out there for 4 hours and my feet were pretty dry for about the first hour. 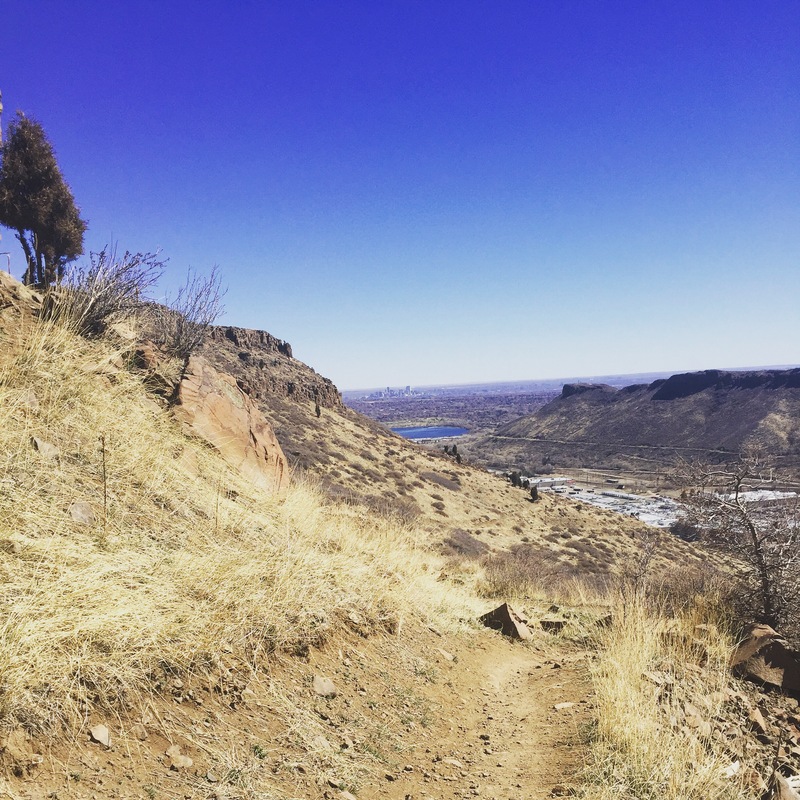 I made a big lollipop loop going up Shadow Canyon to Bear Peak then down Fern Canyon, using the Mesa Trail and some others to connect things. 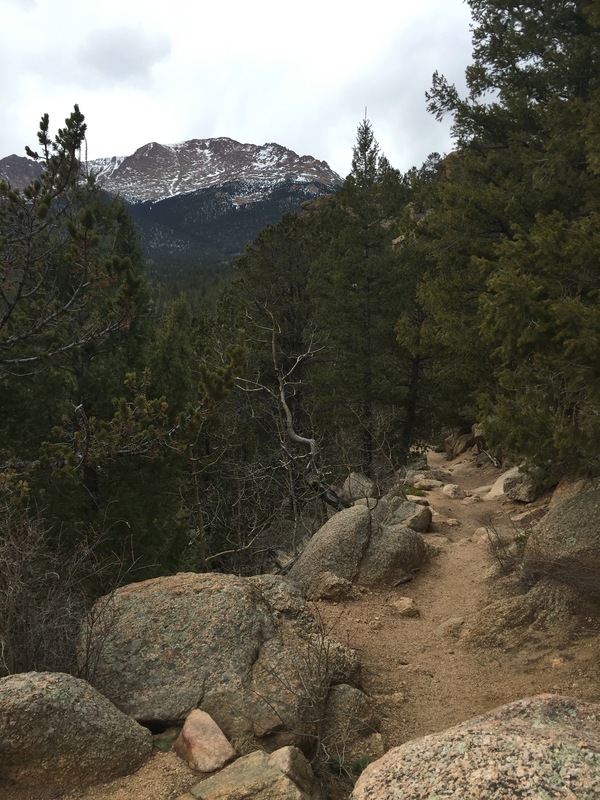 I absolutely love running around Boulder, the trails are so nice and you can just cruise around connecting things pretty easily. 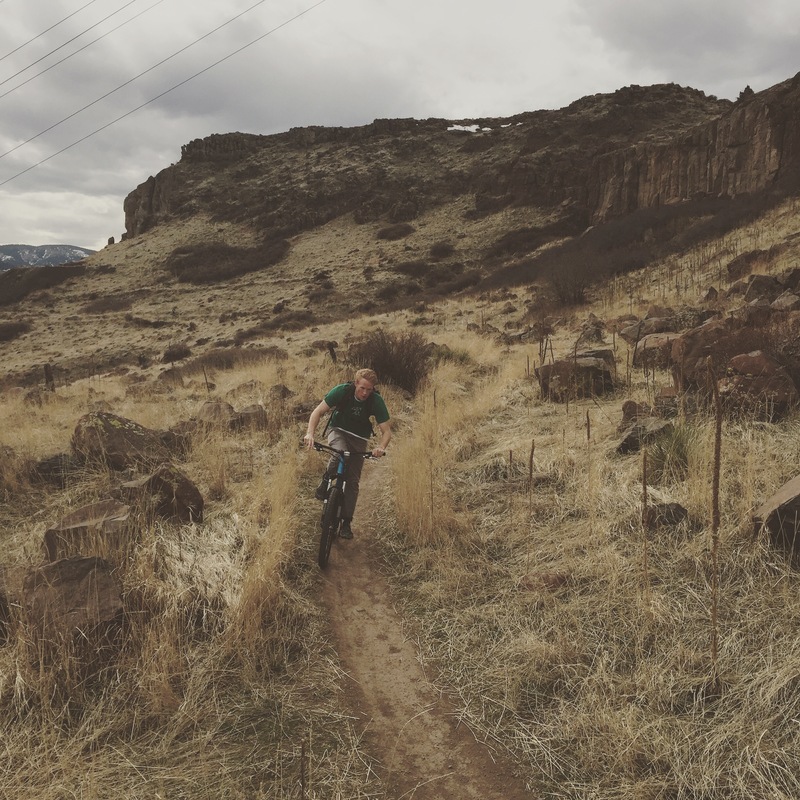 I am very happy to be back in Colorado, still exploring new places and trails, as I follow my dreams and continue my career in the outdoor industry. This entry was posted in Uncategorized by thisjustinbusch. Bookmark the permalink. All the best in your search, I’m totally jealous!